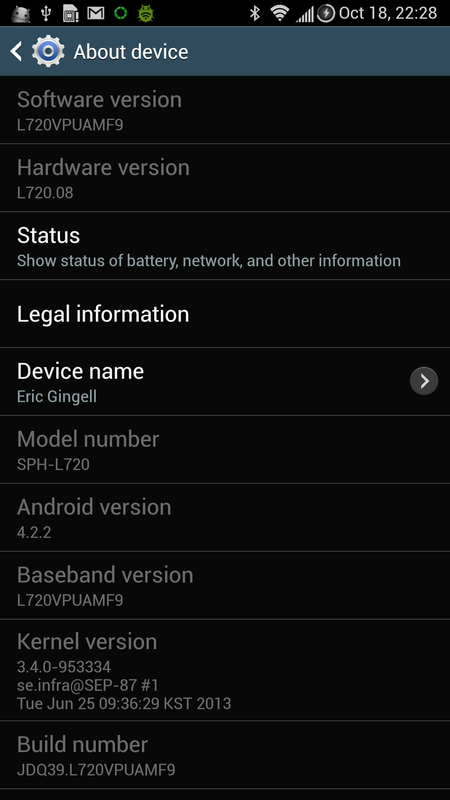 Flashed a rooted stock ROM – JB 4.2.2-MF9 using an Odin One-Click provided by Rwilco12 at XDA. Q: Are you going to remount the SanDisk to /sdcard and the internal SD card to /data/sdext2 like I did with my S2? A: Assuming the data partition is still severely gimped, you bet! Just as soon as I figure out how JB 4.2.2 mounts the internal SD card… and I will figure it out. A: Turns out I don’t need to /data and /sdcard share the same partition. Q: How did you enable custom boot animations? 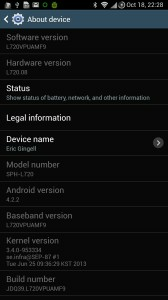 A: I replaced /system/bin/bootanimation with one from a custom ROM (Blu Kuban S4) and fixed its user/group (root/shell) and permissions (755). Q: How did you enable init.d scripts. A: I added /system/etc/install-recovery.sh that executes the init.d scripts. 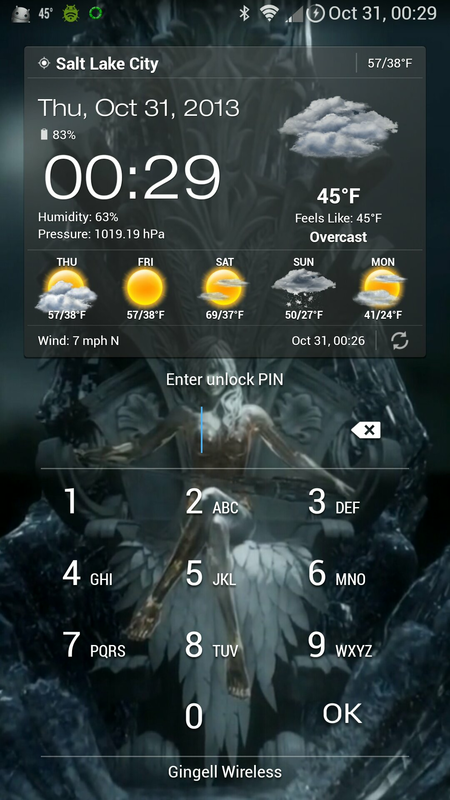 Q: How did you get an Android Weather widget on your PIN lock screen? 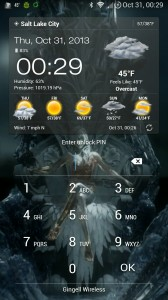 A: Xposed with the module Samsung Multiple Widgets.